Relatively new casino site that bring lucrative New Player sign up bonuses to the table. Being launched in 2015, Casinoland is a modern type gambling platform with the intent of bringing you a simplified, but high quality experience that is easy to enjoy at all times – and it couldn’t get much easier than this. With a stylistically pure design and an interface only containing a very few buttons, this operator is all about highlighting their wide range of slots, tables games and video pokers. There’s no clutter, no banners, no unnecessary texts, no distractions – just pure entertainment brought to you in its simplest form. 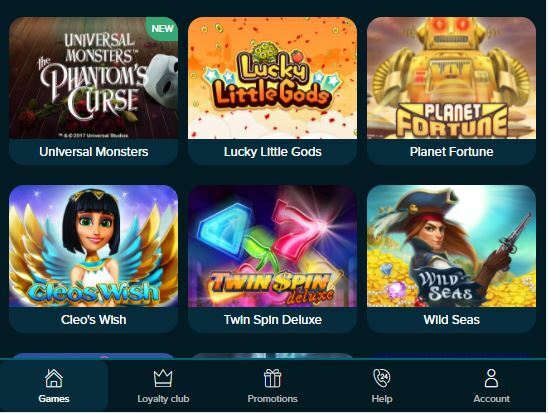 Journey with us through the rest of our Casinoland review and discover everything there is to know about this untraditional casino, including facts about their bonus offers, games, payment methods, customer support and withdrawal times. Restricted countries include Belgium, Bulgaria, Denmark, Estonia, France, Italy, Mexico, Poland, Portugal, Romania, Spain and United States of America. Although you’ll never go empty handed playing at Casinoland, promotional offers currently aren’t one of their highlights – unless you’re an active player that is. 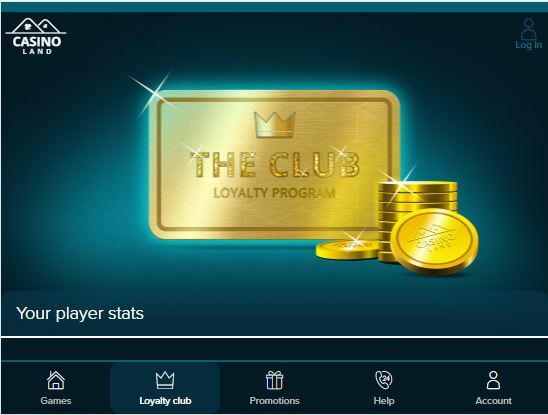 They do occasionally run campaigns, such as getting free spins on your deposit, but this usually only happens once or twice a week. Having said this, you will benefit a lot more from bonuses by being an active player visiting the site on a regular basis. 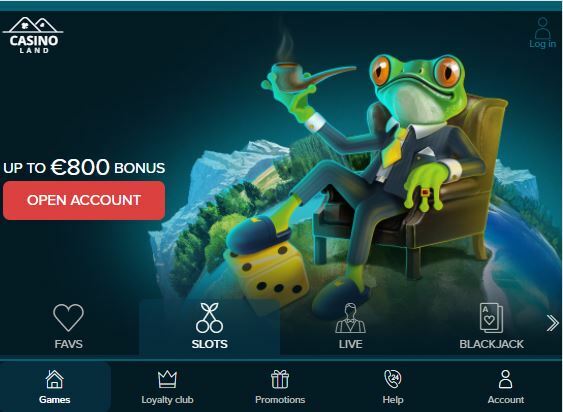 Instead of focusing on campaign offers that everyone can use, Casinoland has a team that is closely monitoring their players and is sending out exclusive bonus offers on e-mail to those who are loyal. This means that if you play a lot, you could still be greatly rewarded for it. The wagering requirement is pretty decent as the received bonus amount has to be turned over 40 times within 30 days. However, what really makes the offer a great choice is the fact that your real balance is used first and in case you would win big with this, you’re able to cash it out. By doing so the bonus amount would of course be forfeited (unless the turn over requirement has been met), but this way your real money is never actually tied to the wagering, which is very valuable. Casinoland is all about their games and unless you’re a very picky casino enthusiast their selection of them is likely more than satisfying enough. With more than 750 video slots from a wide range of high quality game providers, players who enjoy spinning the reels can find most, if not all of their favorites and many of the most popular slots online. All new releases from NetEnt, Nextgen, Play’n GO, Big Time Gaming and many other providers are also constantly being added to make sure that the game selection is kept fresh. The only thing that we’d like to remark on is that the number of jackpot games is a bit limited. Should you prefer table games over slots, you’ll probably also find everything that you could possibly need. A first class live casino is offered by Evolution Gaming and NetEnt, which means that you’ll find a huge number of Roulette and Blackjack tables bringing you an authentic experience with charming dealers. On top of this you do of course have plenty of other table games to choose from as well, such as Let It Ride, Casino Hold’em, Baccarat, Oasis Poker, Red Dog, Caribbean Stud and Three Card Poker. As a fan of video poker you don’t have to feel left out either. You won’t be stunned by their selection, but you will find several different machines that should be enough for you, such as Jacks or Better, All American, Deuces Wild and Joker Poker. The website structure and graphical appearance is probably what makes Casinoland stand out the most. It’s incredibly simple, which not only makes the experience easy on the eyes, but navigating the site couldn’t be quicker and easier. Visiting the casino you’re immediately embraced by all of their games, a black background and as little as four clickable buttons; the support, the cashier, the games and your account. The design couldn’t possibly get any cleaner than this, which is a true blessing for those who are allergic to messy casinos having several banners, big sections of text and a thousand navigational buttons. Here it’s all about an airy environment and highlighting the games, which by the way have a really nice filter to them. This makes it easy to sort all of the games by type, provider, theme, last played and newest released, which is a really handy feature and a big plus. If your curious about the mobile experience, there is currently no mobile app available, but there really isn’t any need for one either. The simplistic design is perfectly transformed to smart phones and tablets, which makes the experience just as good as on desktop. It’s quick, it’s lag free and it’s easy. As the theme of Casinoland is simplicity there’s probably little surprise in the fact that deposits are quick and straight forward. You’ll find all of the most common payment methods available and can be rest assured that these never come with any deposit fees. The minimum deposit is set to £10, whereas the maximum one (in a single transaction) is £5000. If you appreciate speedy withdrawals, we hate to say that Casinoland might not entirely live up to your expectations. Making a withdrawal is quick and easy, but their processing times are currently their biggest down side. At the moment withdrawals are usually reviewed within 48 hours, which isn’t too bad, but they are only being handled Monday to Friday at office hours which are from 8am – 5pm. By cashing out early in the week you probably never have to wait very long, but should you request a withdrawal Friday night you might have to wait until the following Tuesday before it’s processed. On the contrary to withdrawal times, there’s definitely no complaining when it comes to customer support. No matter the day or the time, they are always reachable on live chat, e-mail and phone. Casinoland has also done a terrific job preparing their agents for all types of players in assistance, which means that you can expect a friendly treatment and efficient problem solving. Casinoland was launched with the ambition of creating a trustworthy and simple site that everyone could refer to as their “go-to” casino and we believe they’ve succeeded quite well with this. 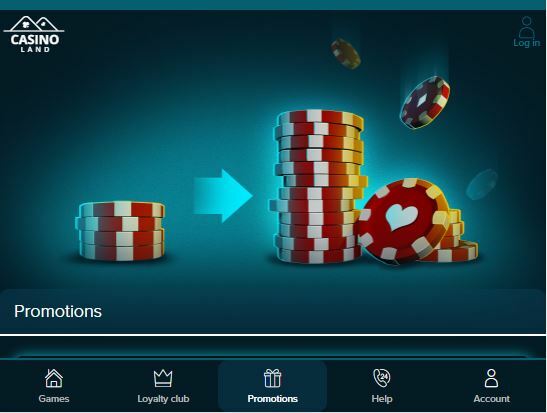 There’s nothing really revolutionary about them, but it’s just an extremely easy to use platform that delivers on most of the elements part of a good casino experience. Sure, they don’t have the absolute best withdrawal times in the industry, a killer loyalty program or promotions on a daily basis. They do however have the user friendliness, a wide selection of games and a customer support that’s always available and for those who’d like to hit up a quick session of casino fun this is probably what matters the most. The site isn’t for everyone, but if simplicity is right up your alley we highly recommend that you pay Casinoland a visit.